A unique take on the classic Mexicano design. A modern glazed panel featuring clear glazing with frosted lines replicating the panel below which follows the traditional Mexicano. 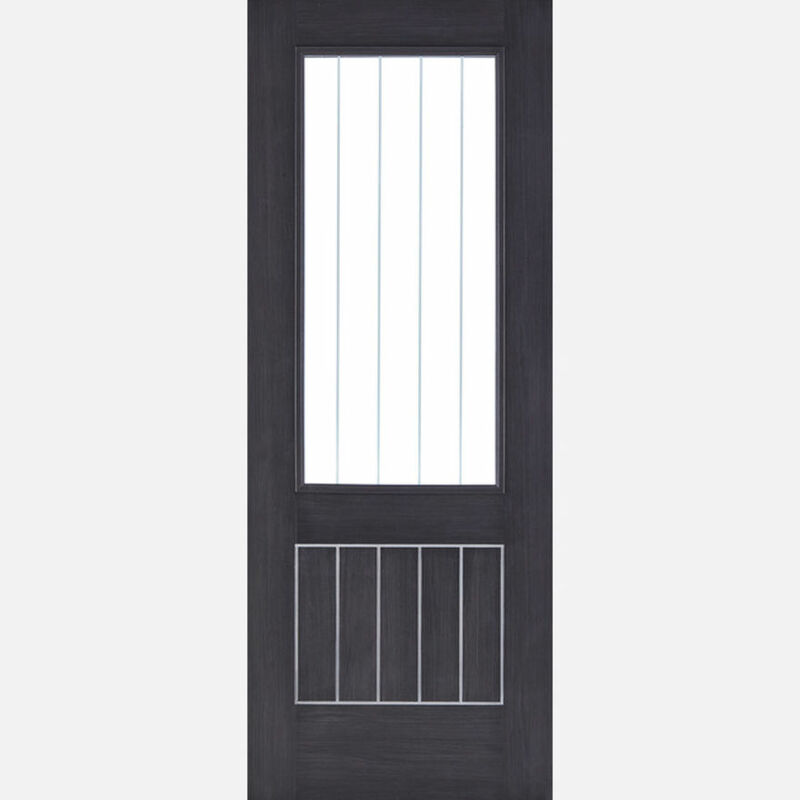 Dark Grey Laminate Mexicano Glazed Doors are manufactured from engineered door components which can include MDF, particle-board and laminated timber. A unique take on the classic Mexicano design. A modern glazed panel featuring clear glazing with frosted lines replicating the solid panel below which follows the traditional Mexicano. LPD Glazed Dark Grey Laminate Mexicano Door Codes - LAMDGRMEXGL27 - LAMDGRMEXGL30 - LAMDGRMEXGL33 - must be treated to manufacturer's instructions. - We cannot exchange Glazed Dark Grey Laminate Mexicano Doors after order - LPD Mexicano Glazed Pre-Finished Dark Grey Laminate Doors are supplied as a Special Order. E. & O.E. see T&C - We do try to keep prices and specifi­­­­­­cati­­­­­­ons of LPD Mexicano Glazed Dark Grey Laminate Doors correct, but mistakes can made!